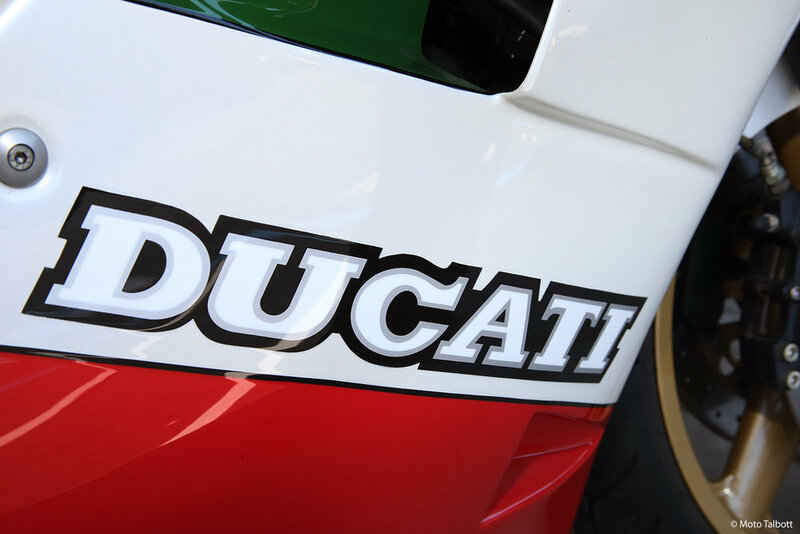 We feel lucky to have recently acquired this Ducati 851 “Kit”—one of just 201 that were homologated as part of the company’s race effort in 1988. (Ours is number 34.) Back then, it was about as close as average folks like us could get to owning a competitive world superbike. 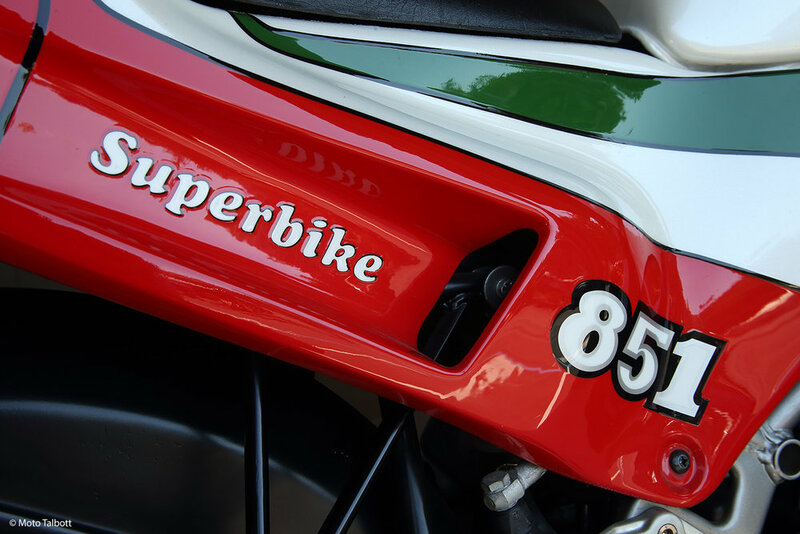 The 851 featured the company’s first four-valve, liquid-cooled engine—the same platform that would earn Doug Polen world titles a few years later. Just 54 examples of the Kit version came to the U.S. In contrast to the 851 “Strada” model (for street use), the 851 Kit included a higher compression ratio, 17-inch magnesium wheels (instead of 16 ), closer gear ratios, race ECU and mapping, braced swingarm, and race exhausts. Although it came with no mirrors or speedometer, some enterprising riders found a way to make the bikes legal for street use. And oh yes, the sweet music—this bike sounds fantastic!